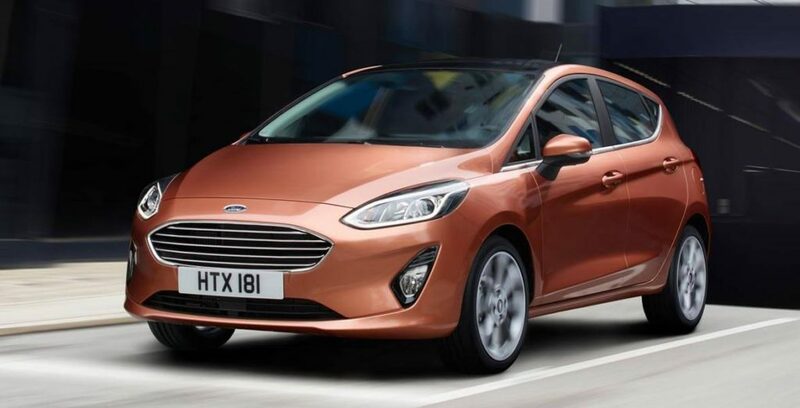 Ford has revealed its next generation Fiesta – billed as the most technologically advanced small car – with a range of new innovative technologies such as pedestrian detection and active park assist and premium interior features like B&O Play sound system, SYNC 3 connectivity as well as high definition touchscreens. The big news, however, is that the new generation Fiesta will be offered in a range of body styles concluding an upmarket Vignale, racy Ford Performance inspired ST-Line, a stylish Titanium and for the first time a crossover variant, called Active Crossover – the first in a new line-up of Active vehicles to be rolled out across the Ford range in years to come. 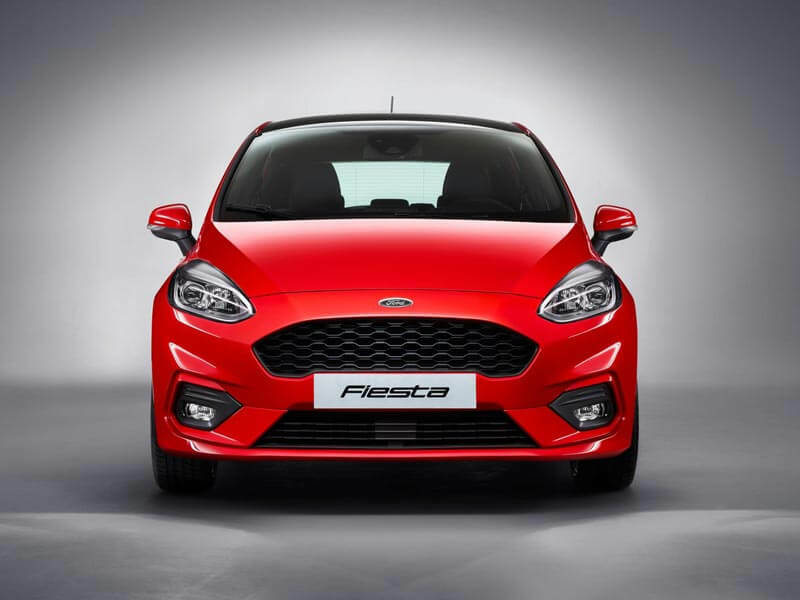 Powering the generation Fiesta is a duo of engines familiar to the current Fiesta range. Ford’s award-winning 1.0-litre EcoBoost engine is the single petrol option developing 102kW, and for the first time a higher output turbodiesel engine will be available. 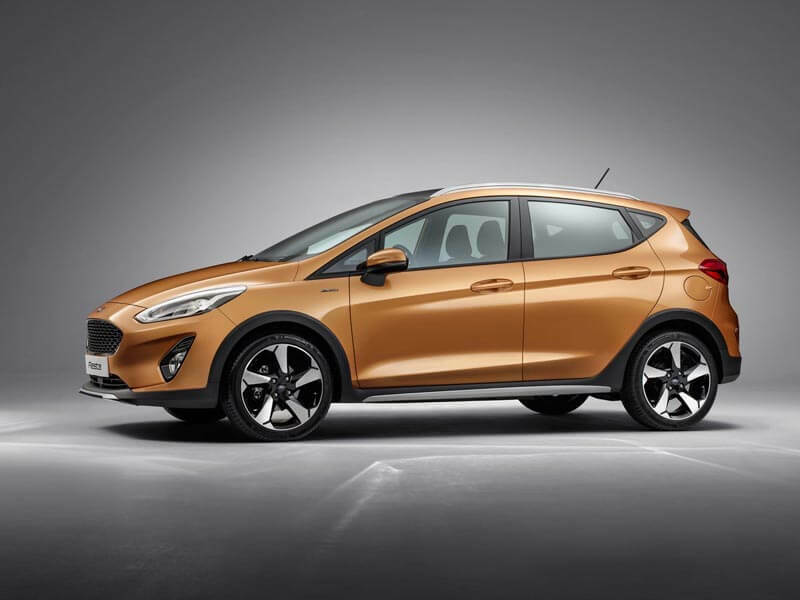 The 1.5-litre TDCi mill will develop 88kW – a 33kW gain over the current generation 1.5-litre engine – and when mated to the all-new six speed gearbox, Ford claims (both engines) will emit just 82g/km of CO2. 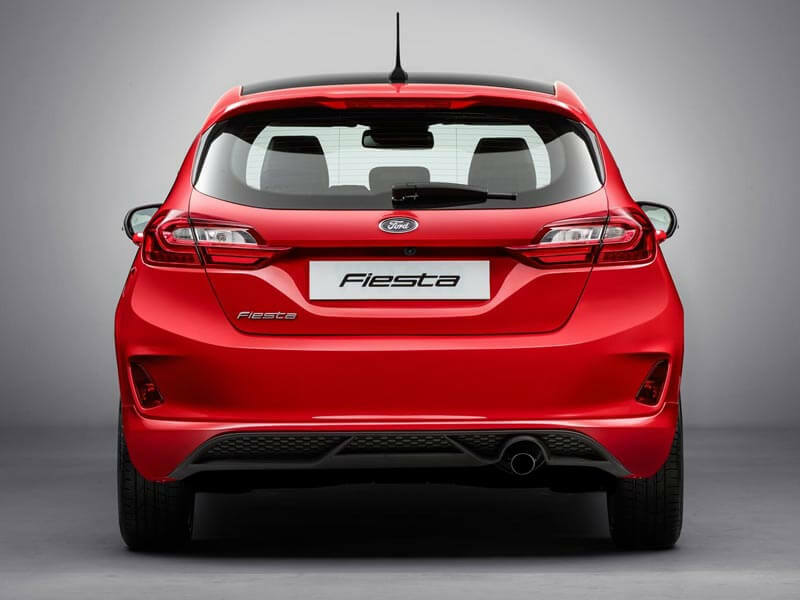 Next generation Fiesta will introduce a range of smart technologies, pushing comfort, convenience and safety well beyond what is expected or even seen in a small car. Advanced driver assistance technologies are supported by two cameras, three radars and 12 ultrasonic sensors, which in combination are able to monitor 360 degrees around the vehicle, and scan the road ahead up to a distance of 130 metres – more than the length of a rugby field. Pre-Collision Assist with Pedestrian Detection, now with a wider camera angle, can detect people who are in or near the road ahead – using light from the Fiesta’s headlights at night – helping reduce the severity of a collision or in some conditions, avoiding a collision completely. Also offered for the first time on Fiesta is Ford’s Active Park Assist with Perpendicular Parking. This system helps drivers find suitable parking spaces and is able to park the car hands-free either nose-to-tail and side-by-side with other cars. The technology is also able to apply the brakes autonomously should the driver not respond to proximity sensor warnings. 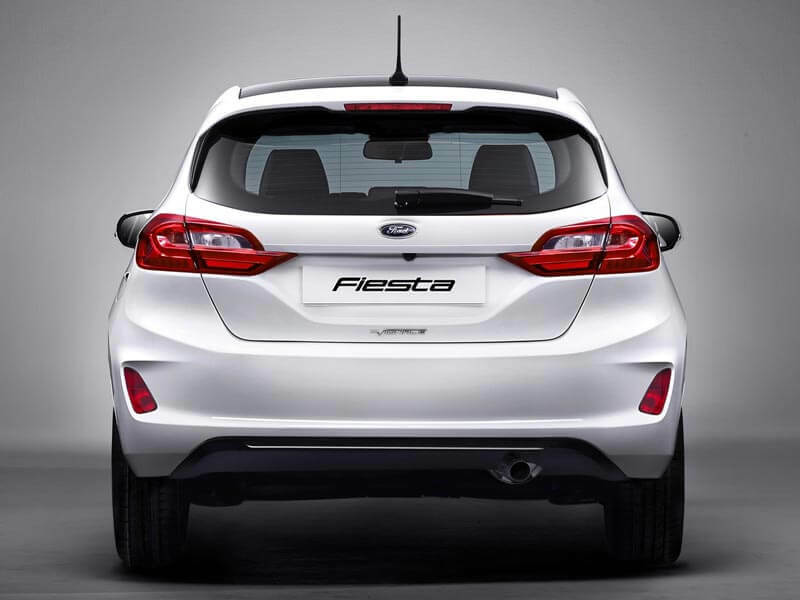 Unbelievably there are still more features fitted to the next generation Fiesta. Traffic Sign Recognition is able to monitor multiple speed limits which might apply to individual lanes of a motorway, for example, updating the in-car display as the driver changes lanes. 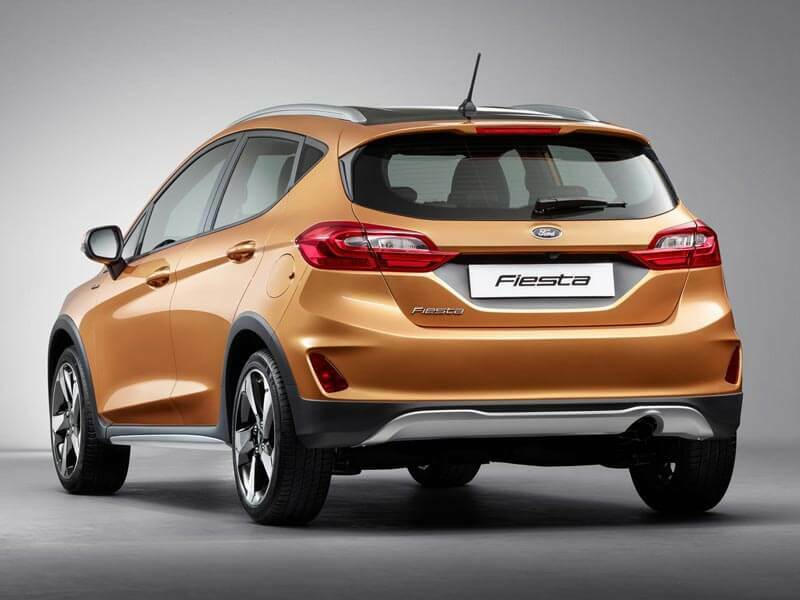 Fiesta is the first car in its segment in Europe to offer Cross Traffic Alert, which warns drivers reversing out of a parking space of vehicles that may soon be crossing behind them. 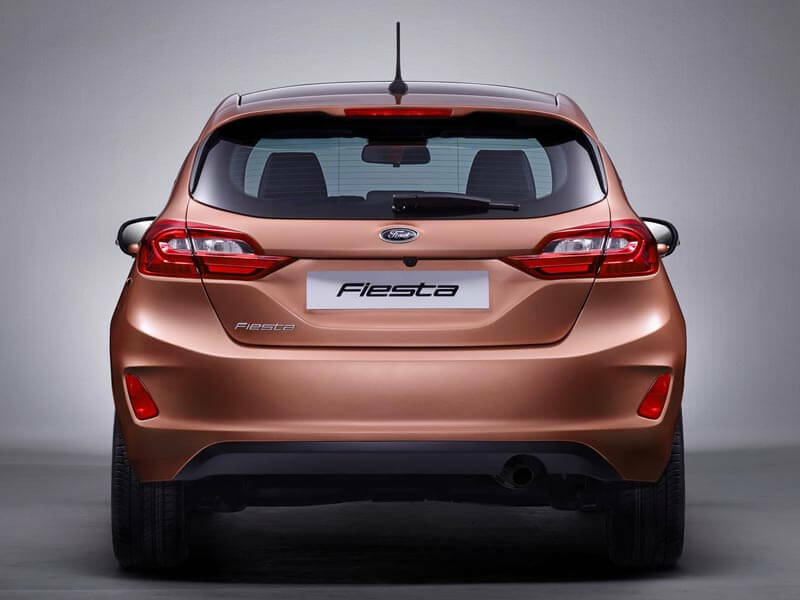 The feature is amongst 15 Fiesta driver assistance technologies in total, including Adaptive Cruise Control, Adjustable Speed Limiter, Auto High Beam, Blind Spot Information System, Distance Indication, Driver Alert, Lane Keeping Aid, Lane Keeping Alert and Forward Collision Warning. 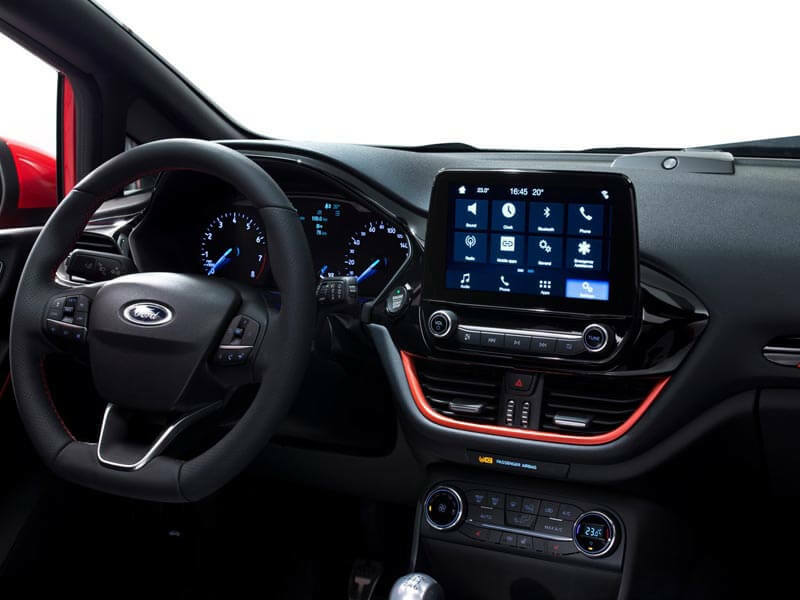 With smartphones now acting as an extension of ourselves, next-gen Ford Fiesta is as connected as ever, offering Ford’s SYNC 3 in conjunction with Band & Olufsen’s PLAY system. In a shifting digital landscape, and with digital music streaming now well integrated into consumers lives, a CD player will now be offered as an optional extra, with Bluetooth connectivity and two USB ports taking centre stage as far as connectivity is concerned. 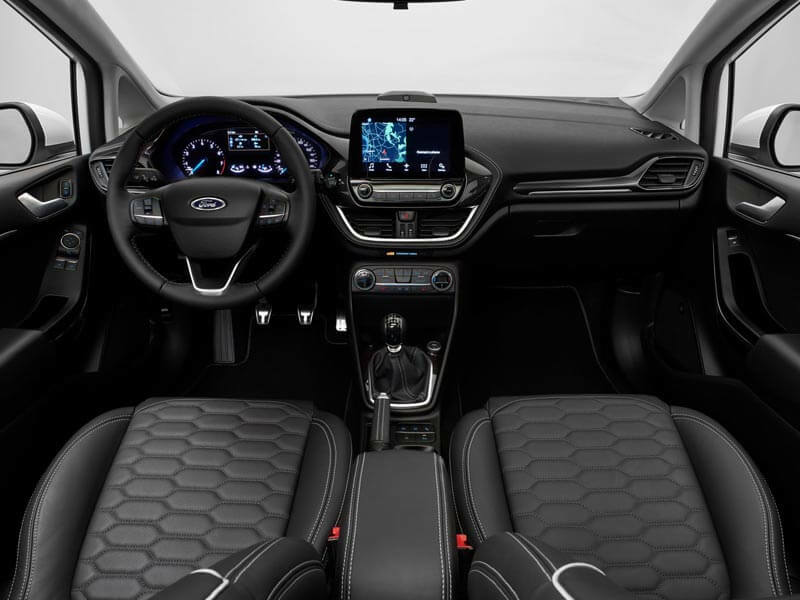 Ford’s SYNC 3 communications and entertainment system will enable Fiesta drivers to control audio, navigation and connected smartphones using simple, conversational voice commands such as “I need a coffee,” “I need petrol,” and “I need to park”. Drivers can locate nearby cafés, petrol stations or car parks, and find train stations, airports, and hotels simply using the sophisticated voice control. 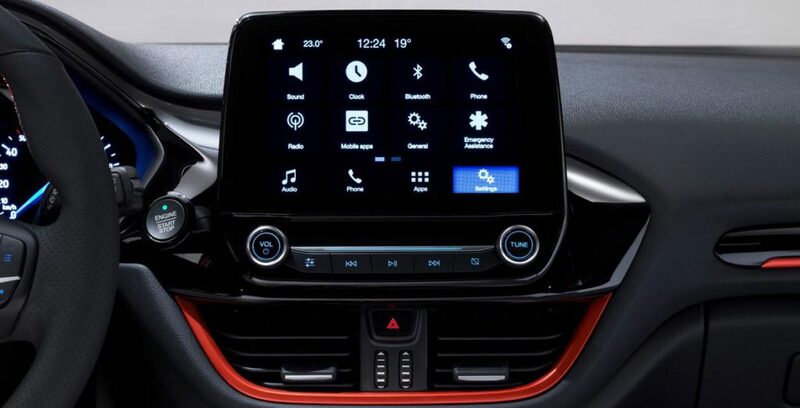 The system is also compatible with Apple CarPlay and Android Auto. The new B&O PLAY systems will ensure a step up for in-car audio, with ten speakers including a boot-mounted subwoofer, and featuring a total of 675 watts and powered by a digital signal amplifier with selectable surround sound. 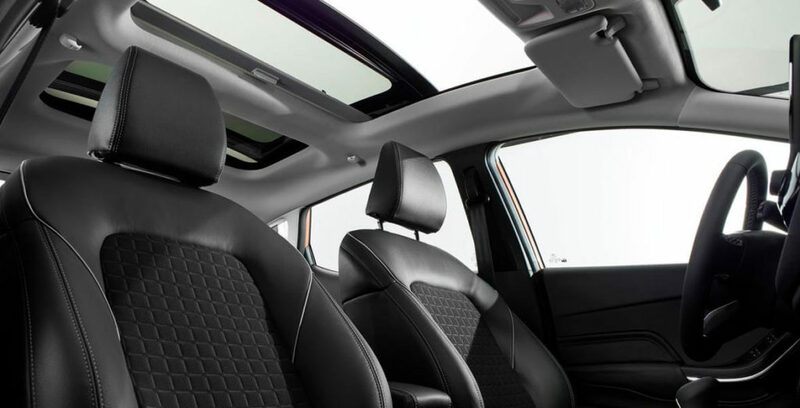 Underlying the four Fiesta variants is an exterior that builds on the bold styling of the outgoing Fiesta. 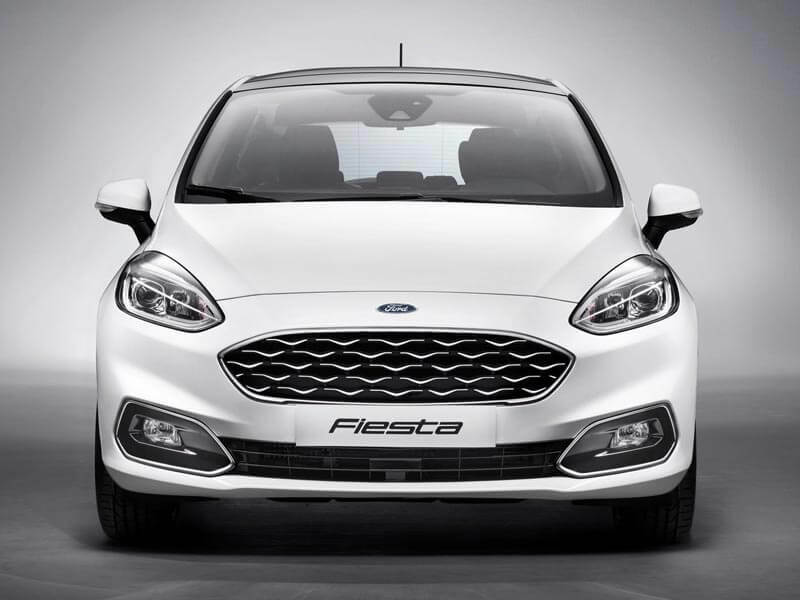 With a slightly less wedge shape than before, next-gen Fiesta is 71mm longer and 12mm wider than before. 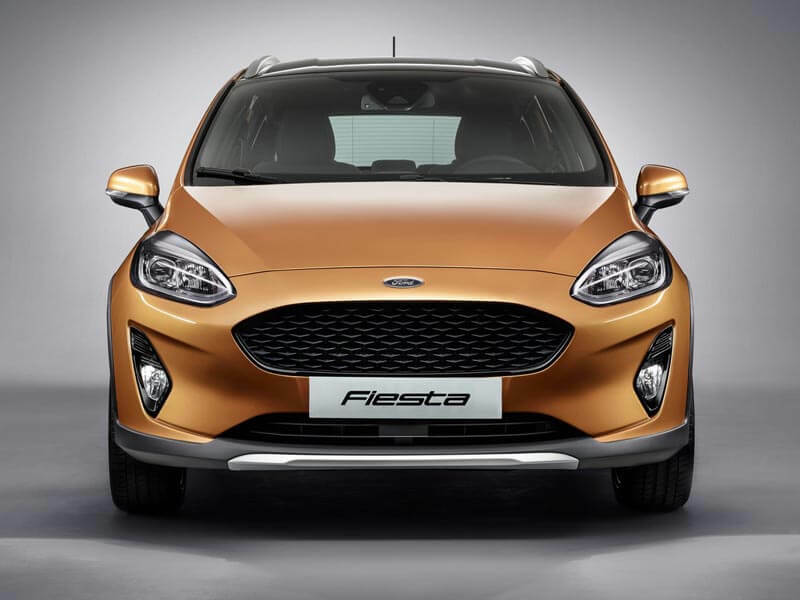 Each of the four Ford Fiesta variants delivers a unique design character which can be further personalised with individualisation options including contrasting roof and door mirror caps in black, white, Bohai Bay Mint or new Chrome Copper. 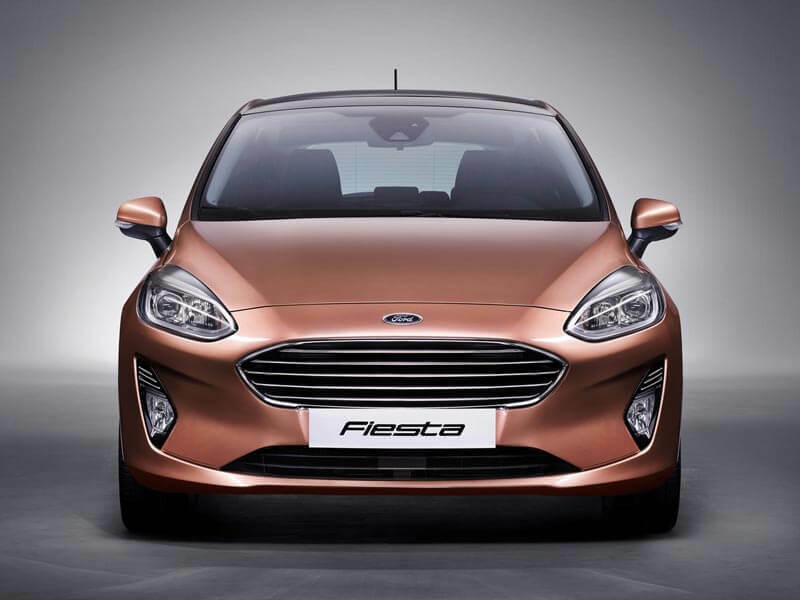 Additional new exterior colours include Blue Wave, and for Fiesta Vignale, Milano Grigio.